My Firearms Training company, Homeland Personal Protection was founded in 2009. In the beginning, I had the intentions of training Men, Women and Children. I also focused on Civilians, however, I started to develop an interest by Law Enforcement, Armed Professionals and our Military Personnel. For the first 3 year, I operated my company with all my classes being co-op courses with 75% of the attendees being Men. During that timeframe, I had noticed that the firearms industry was being driven by more and more Women. In 2013, I began offering our classes in a “Woman Only” format which were designed as smaller classes for Women to be trained by a Woman “Me”. Offering these Women Only courses was never inteded to imply that Women learn better from Women OR that Men could not teach Women. This was a way to have a choice for Women to learn in an environment where they feel most comfortable. Going into our 8th year, we are proud to offer the training courses at HPP Training as co-op courses with the option for them to be Women’s Courses. If you are interested in a “Woman’s Only” training, please call or email and we will build a class for you or your group. 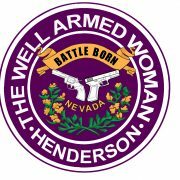 In addition to the training classes offered, is an opportunity for Women to continue to learn and maintain their level of proficiency with monthly shooting meetings and clinics through “The Well Armed Woman” Shooting Chapters. Ladies, come and join a Non-Profit National ALL WOMEN’S Shooting Organization. Attend our monthly learning meetings and get educated on various areas of the firearms world. Our monthly meetings are $25 which includes your range fee. Maggie is the Nevada State Leader as well as the Chapter Leader for the Las Vegas and Henderson “Battle Born” chapters. Our Chapter Co-Leaders are Karen Long, Beki Cubio and Brenda Osborne in addition to NRA Certified Instructors and Range Safety Officers. Each time you attend, you will gain some information and/or learn a skill in a classroom setting. We will then develop and saturate that skill during live fire practical shooting events. It’s always a fun time and a great opportunity to talk with other likeminded women about guns, gear and or anything else gun related. We will be meeting at one of our host ranges at least once a month. The Las Vegas Chapter host range is Clark County Shooting Complex. The Henderson Chapter host range is Boulder Rifle & Pistol Club. We just received another great Host, Bass Pro Shops. We are now allowed to use the Conservaion Room and Shooting Range for certain TWAW Meetings or Workshops. 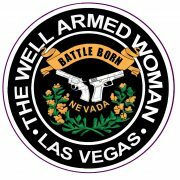 To attend any of THE WELL ARMED WOMAN events, please register on the CALENDAR. If you are visiting our chapter for the first time, you may attend without being a Member. In order to attend any meeting after your first, You MUST be an ACTIVE MEMBER of TWAW Shooting Chapters.